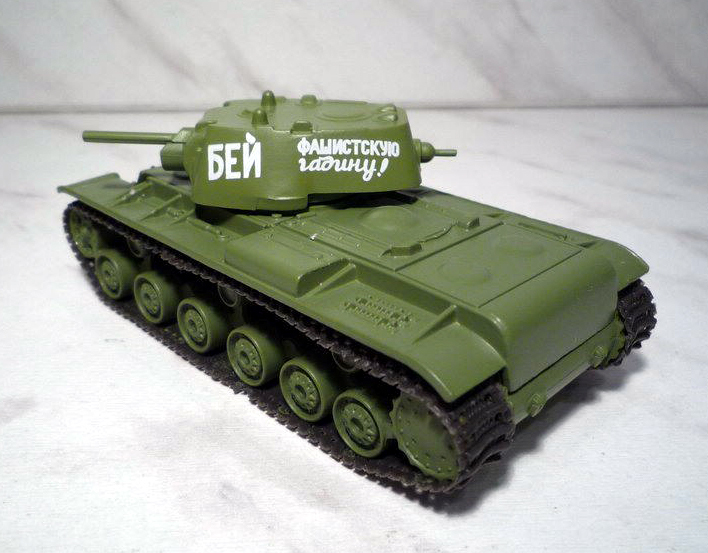 KV-1 (Klim Voroshilov) - Soviet heavy tank of World War II. 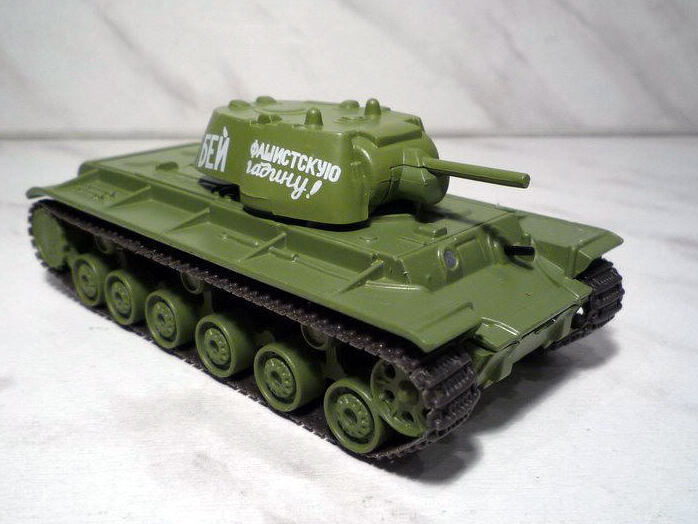 Usually referred to simply as "KV": tank created under that name and only later, after the tank KV-2, HF was the first sample number index. Produced from March 1940 to August 1942. He took part in the war with Finland and World War II. The crew KV near the city of Raseiniai (Lithuania) in June 1941, within days of restrained kampfgrupp (militant group) 6th Panzer Division Kempf W., equipped mainly with light tanks Czech Pz.35(t). This fight has described the German commander of the 6th brigade mechanized infantry divisions E. Rouse. One of the KV in the June 24 battle had taken a position on a road parallel to the onset of kampfgruppy Zekedorf, being behind kampfgruppy Rouse. This KV was the basis for the legend of the stopped one KV entire German 4th Panzer Group, Colonel-General Gepner. Journal of the fighting of the 11th Tank Regiment 6th Panzer Division, says, "... Russian heavy tank blocked the communication kampfgruppy Rouse. Because of this relationship with kampfgruppoy Rouse failed on all afternoon and following night. Battery of anti-aircraft 88mm guns was sent to fight the commander of this tank. But her actions were just as unsuccessful as the 10.5-cm battery that fired on the instructions of forward observer. In addition, the failed attempt to undermine the assault team engineers tank. It was impossible to approach the tank due to heavy machine-gun fire." Lone KV, referred to, fought with kampfgruppoy Zekedorf. After an overnight raid, engineers, only scratched the tank for the second time he took up with 88-mm anti-aircraft guns. The group of tanks 35(t) has distracted by its movement KB, and the calculation of 88-mm gun has made six hits in the tank. Z.K. Slusarenko describes the battle KV led by Lt. Kahhar Hushvakov of the 1st Heavy Tank Battalion 19th Tank Regiment, 10th Panzer Division. Since the tank is out of order PPC, he was retained as a veiled pillboxes at the Staro-Konstantinov (South-Western Front). Tankers two days alone against the enemy. They set fire to two German tanks, three tanks of fuel, destroyed a lot of Nazis. After the destruction of tanks the Germans poured gasoline tank dead bodies and burned them. It was fought on the KV Lieutenant Zinovy Kolobanov (1st Armored Division), in one battle, on August 19, 1941, at Gatchina (Krasnogvardejsk) destroyed 22 German tanks and two anti-tank guns, and Lieutenant Simon Konovalov (15th Armoured Brigade) - destroyed in one battle, 16 tanks and 2 armored enemy. 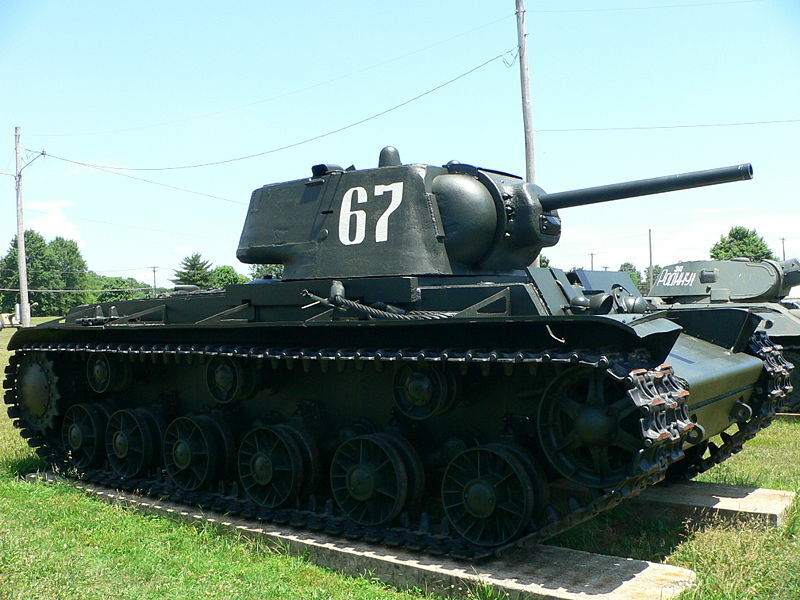 At the beginning of the war, Germans are inclined to mysticism Tank KV-1 was nicknamed «Gespenst» (in German - a ghost), as the shells standard 37-mm anti-tank gun the Wehrmacht more often than not left on his armor, even dents.